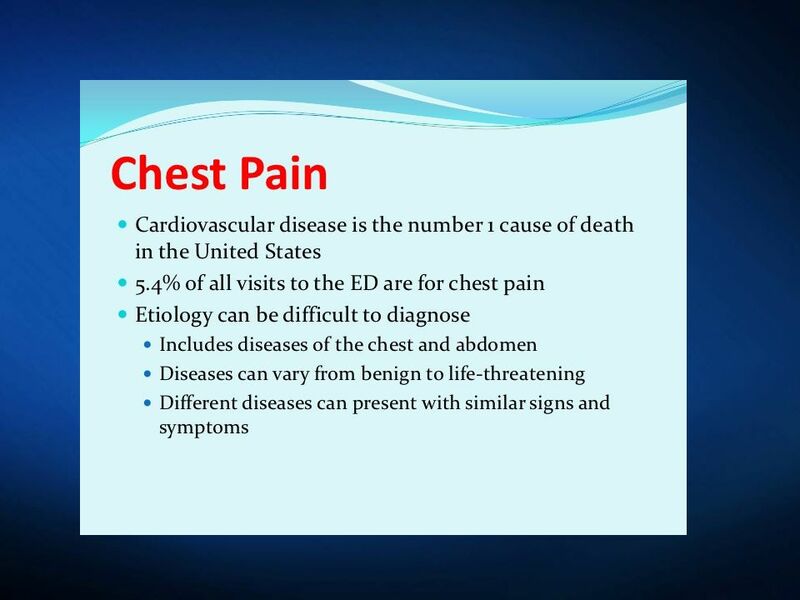 2 Chest Pain Facts CV disease is #1 cause of death in the U.S.
4 A Chest Pain Case A 65 year-old man with a past medical history significant for hypertension and dyslipidemia presents to clinic after 2 episodes of chest pain in past couple days. 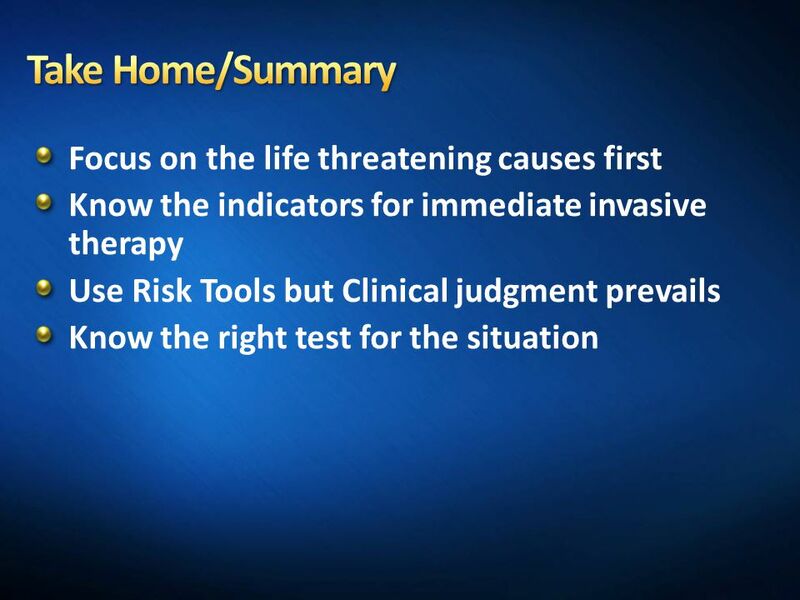 What do you want to know and do? 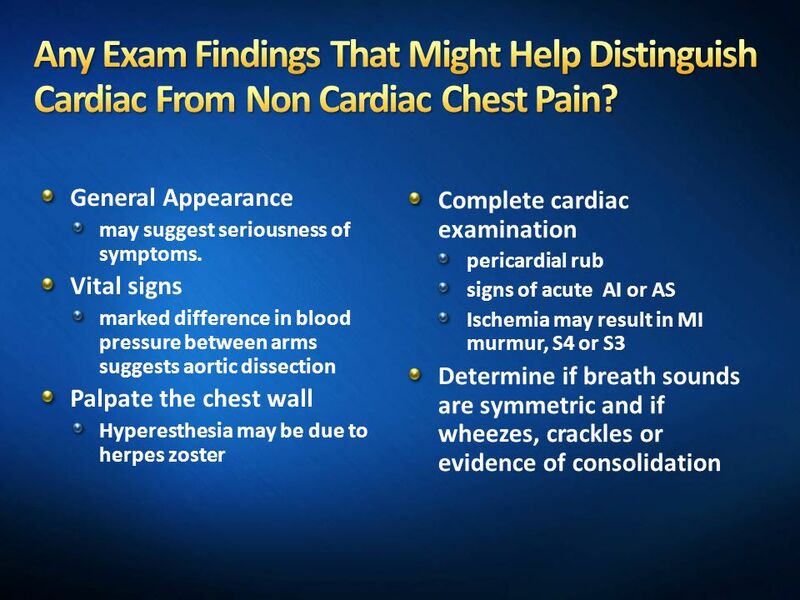 12 Any Exam Findings That Might Help Distinguish Cardiac From Non Cardiac Chest Pain? 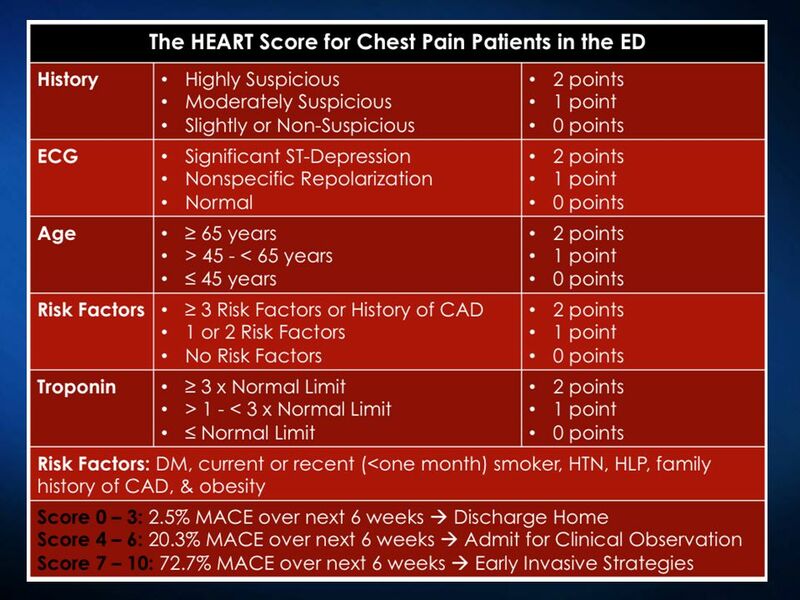 and risk of death in patients with ACS. 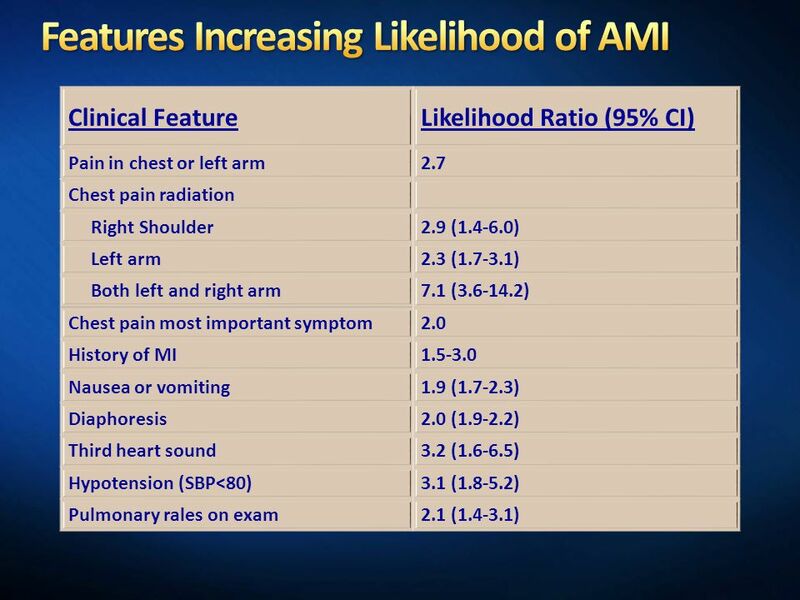 Used with permission from Antman EM, Tanasijevic MJ, Thompson B, et al. 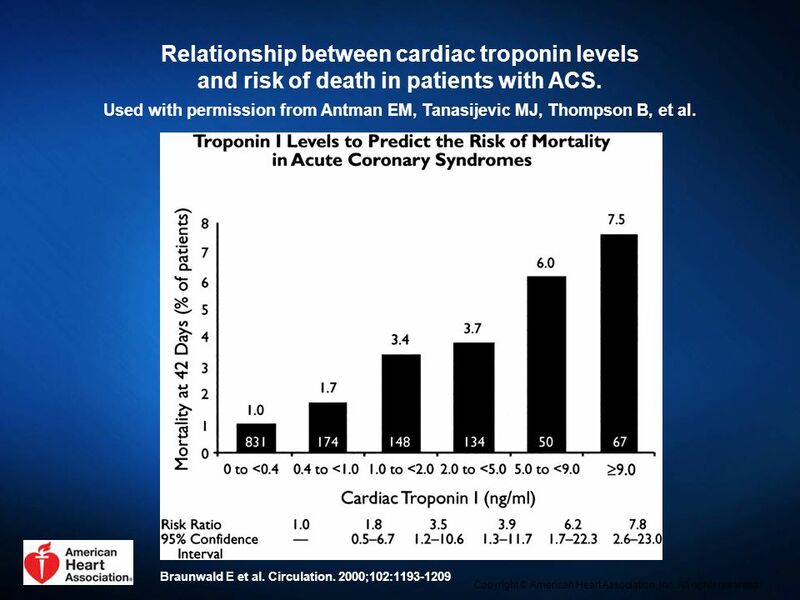 Relationship between cardiac troponin levels and risk of death in patients with ACS. 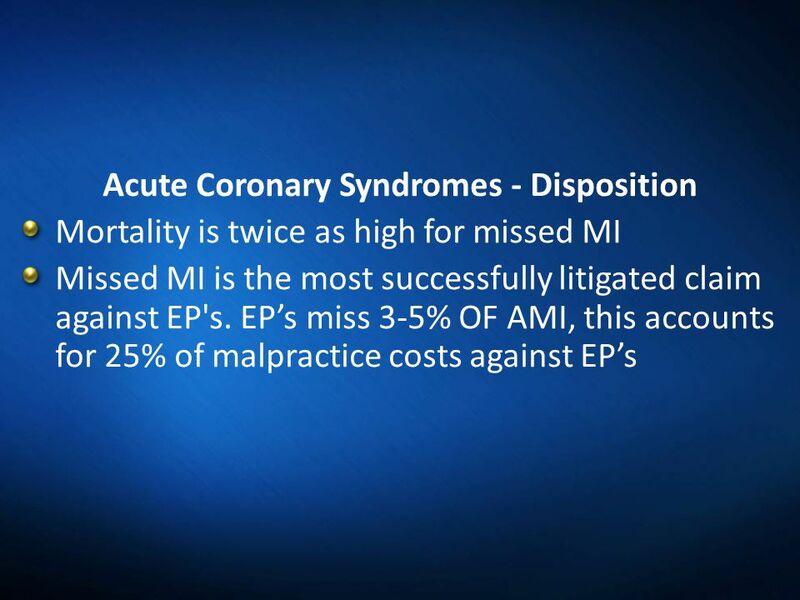 Used with permission from Antman EM, Tanasijevic MJ, Thompson B, et al. 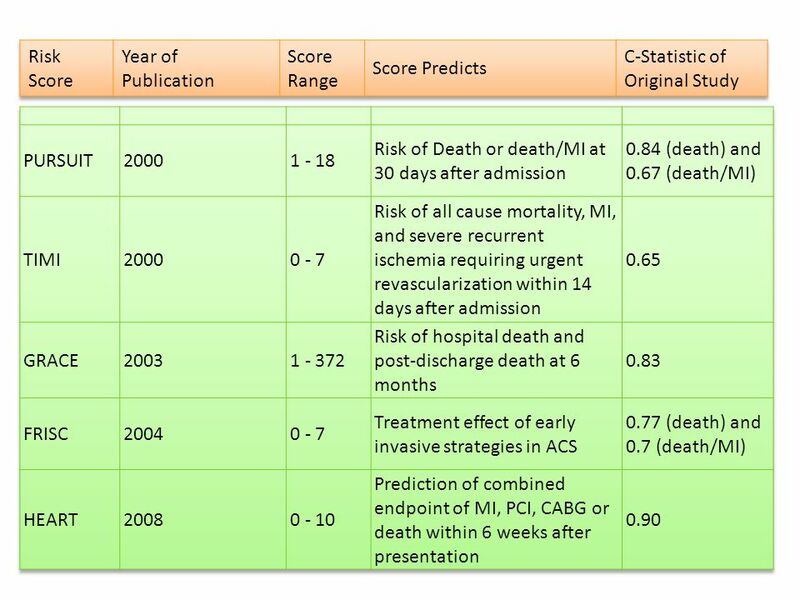 Cardiac-specific troponin I levels to predict the risk of mortality in patients with acute coronary syndromes. 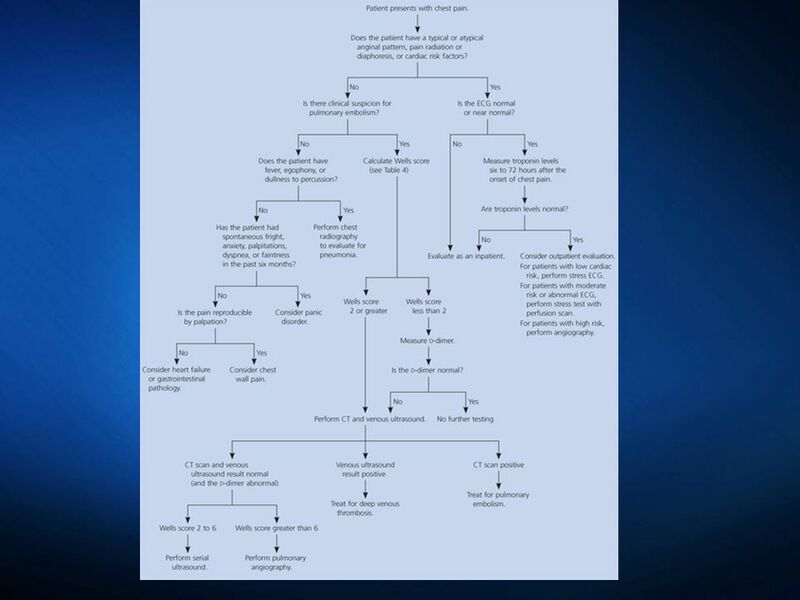 N Engl J Med. 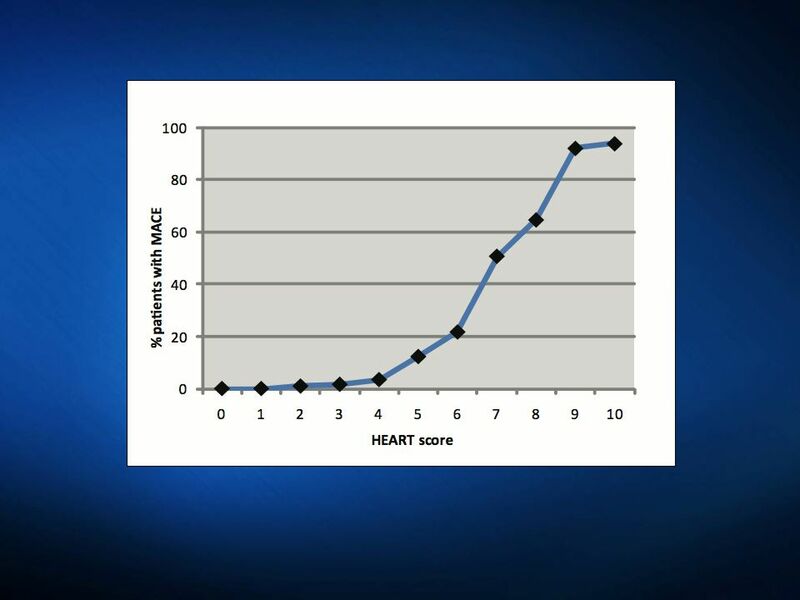 1996;335:1342–1349. 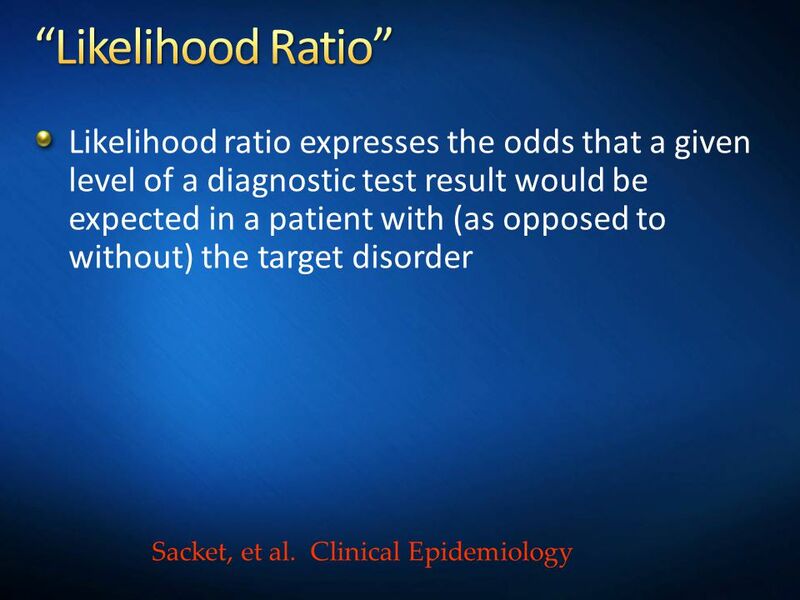 Braunwald E et al. 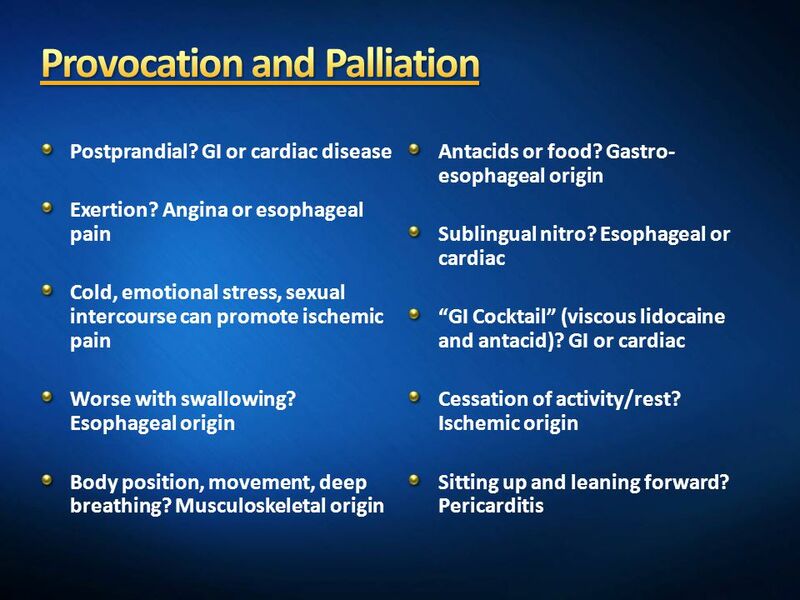 Circulation. 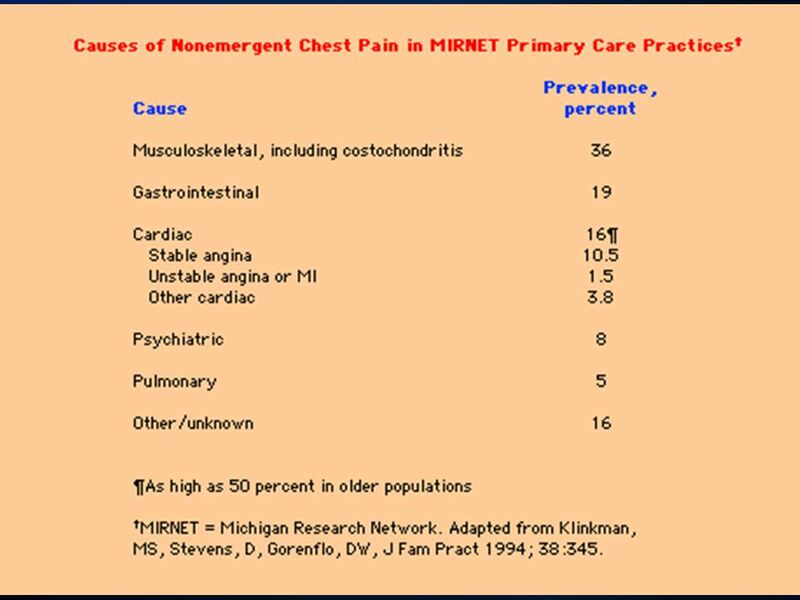 2000;102: Copyright © American Heart Association, Inc. All rights reserved. 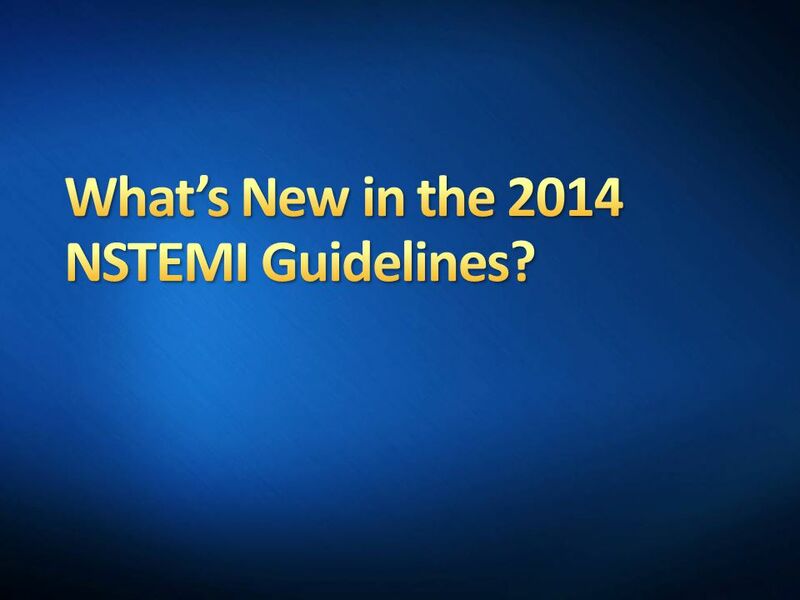 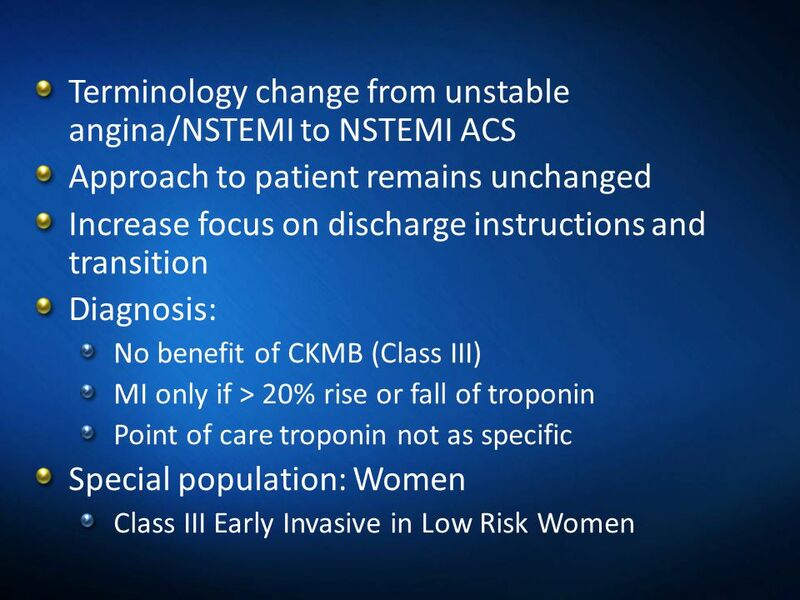 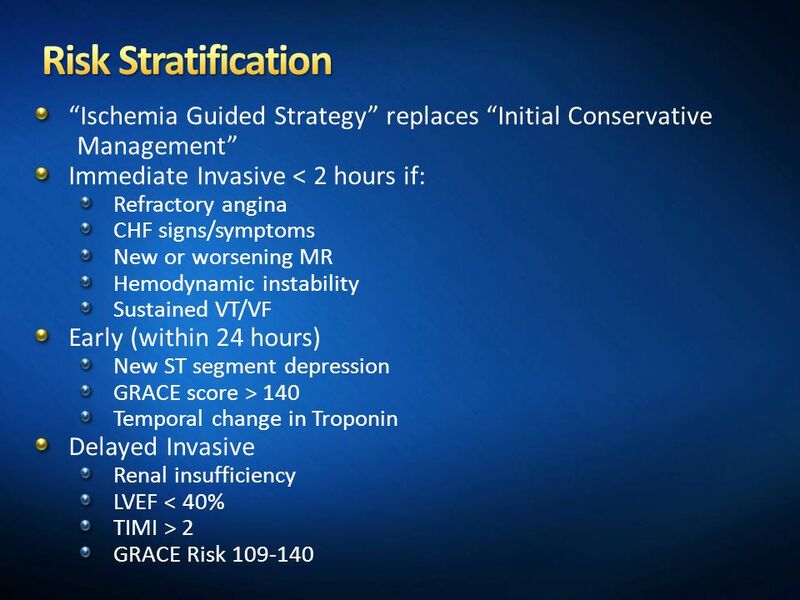 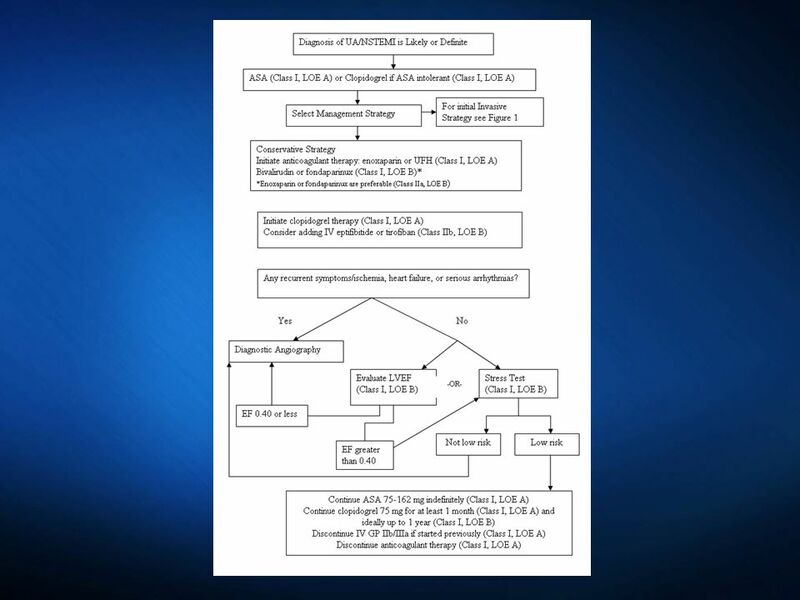 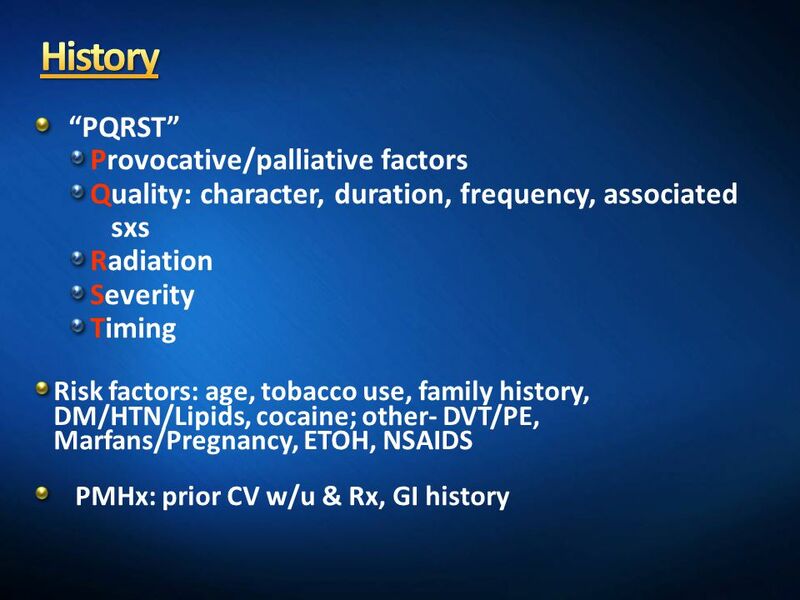 24 What’s New in the 2014 NSTEMI Guidelines? 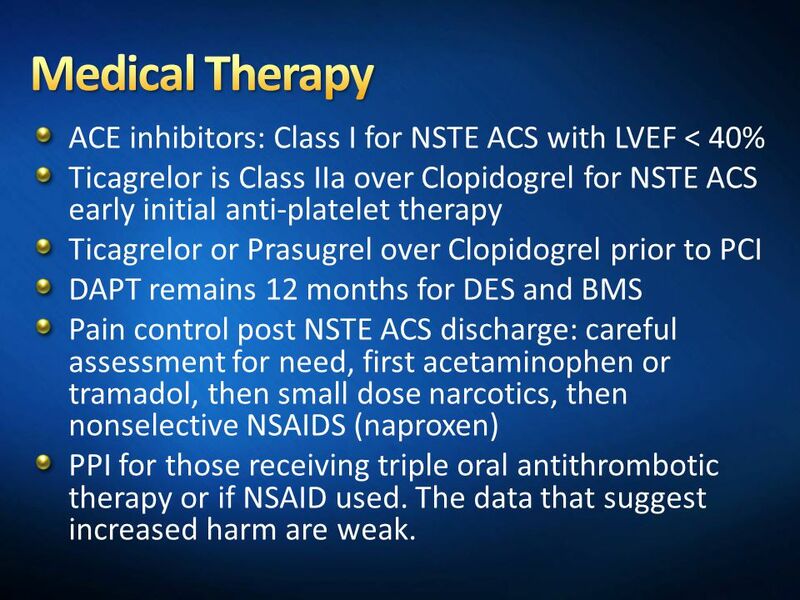 27 Medical Therapy ACE inhibitors: Class I for NSTE ACS with LVEF < 40% Ticagrelor is Class IIa over Clopidogrel for NSTE ACS early initial anti-platelet therapy Ticagrelor or Prasugrel over Clopidogrel prior to PCI DAPT remains 12 months for DES and BMS Pain control post NSTE ACS discharge: careful assessment for need, first acetaminophen or tramadol, then small dose narcotics, then nonselective NSAIDS (naproxen) PPI for those receiving triple oral antithrombotic therapy or if NSAID used. 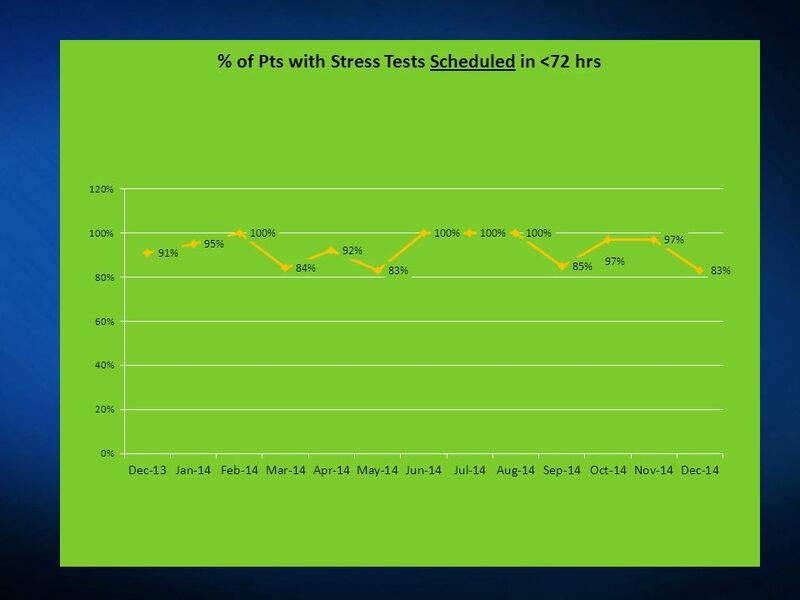 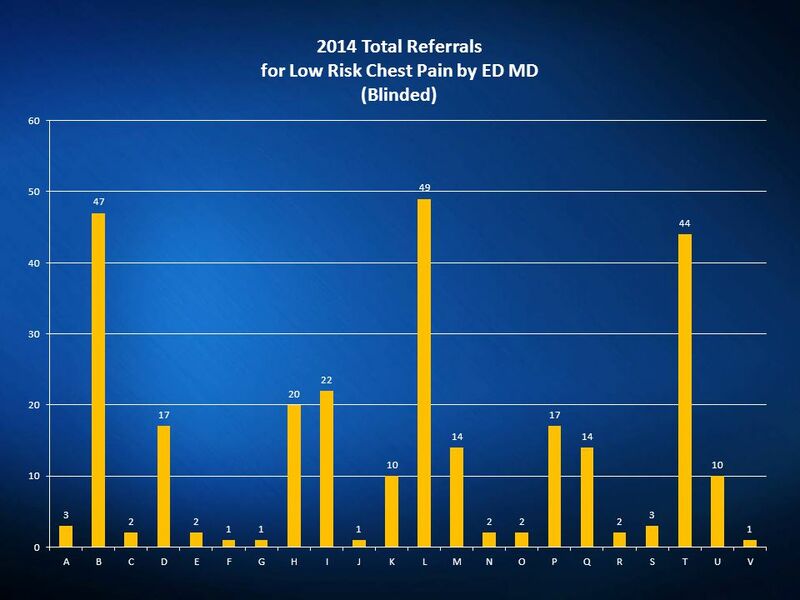 The data that suggest increased harm are weak. 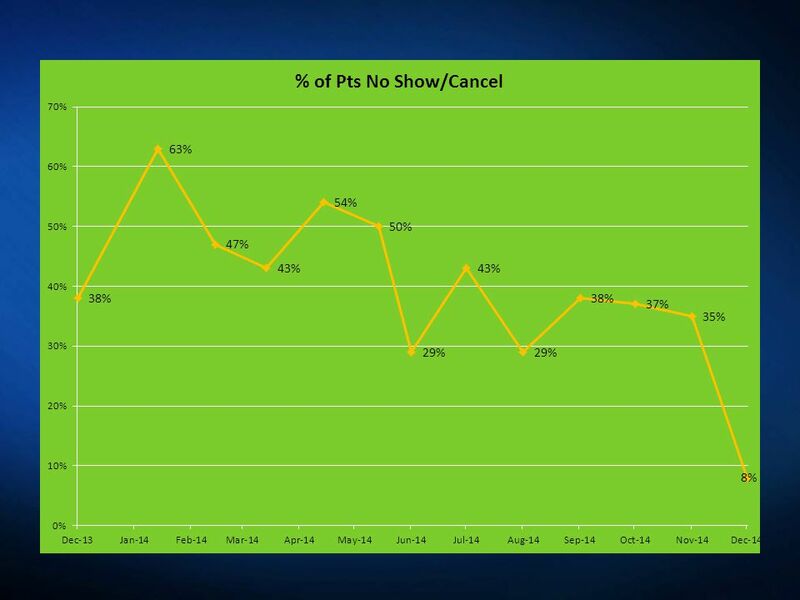 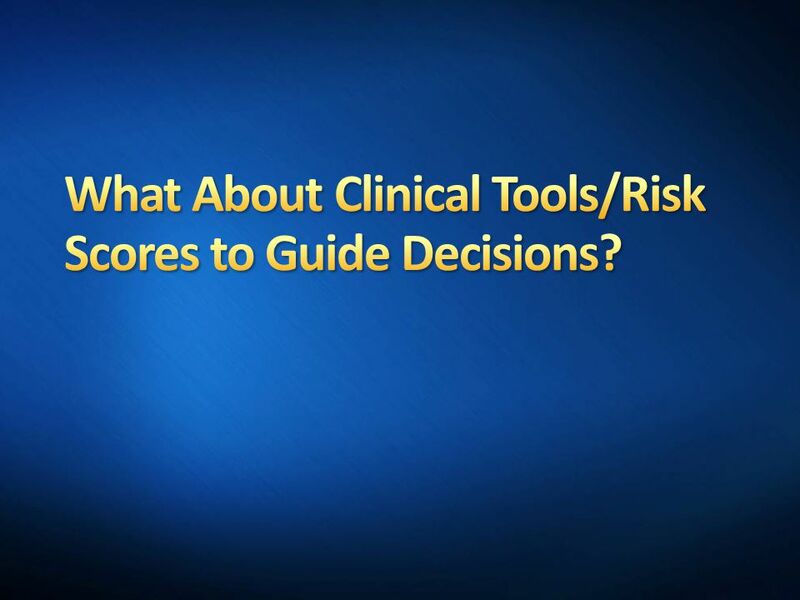 30 What About Clinical Tools/Risk Scores to Guide Decisions? 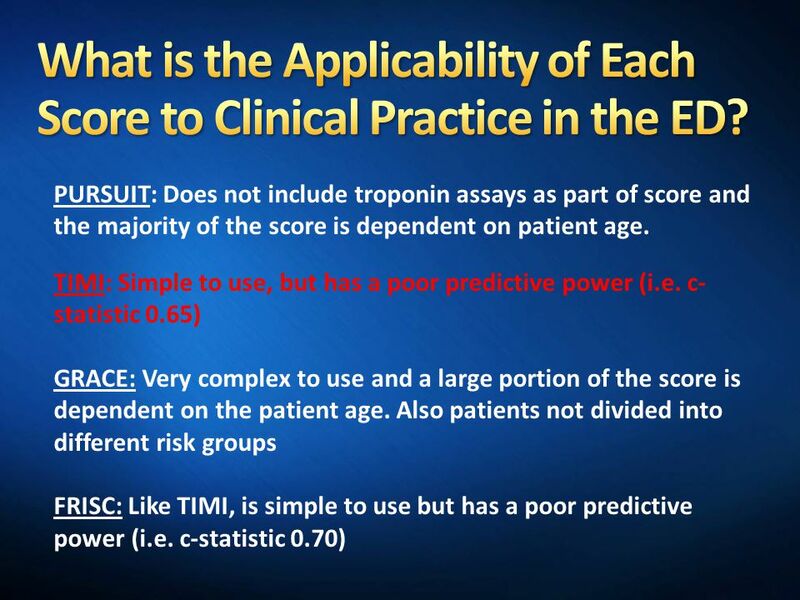 34 What is the Applicability of Each Score to Clinical Practice in the ED? 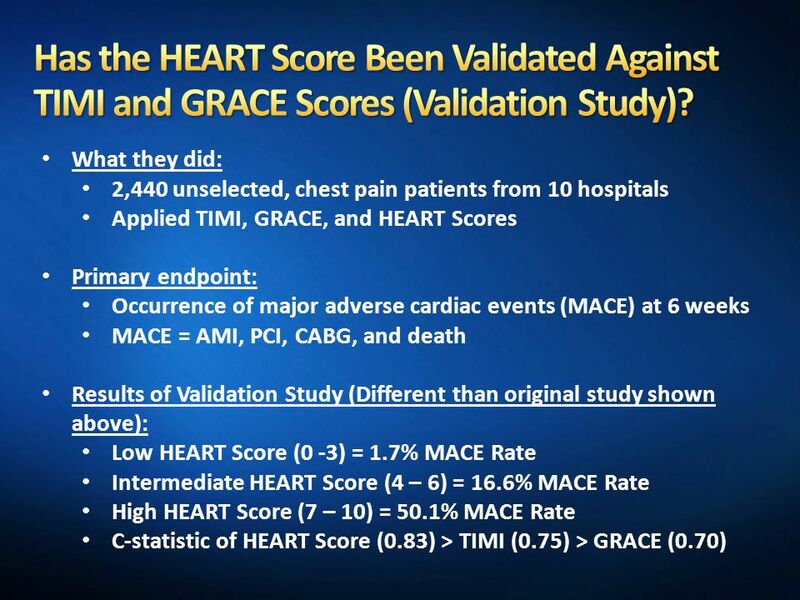 38 Has the HEART Score Been Validated Against TIMI and GRACE Scores (Validation Study)? 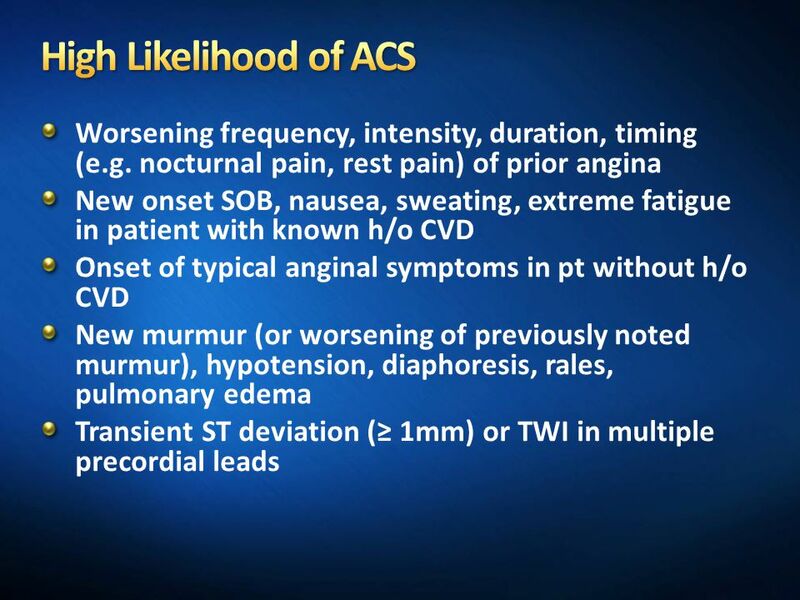 Evaluation of patients presenting with symptoms suggestive of ACS. 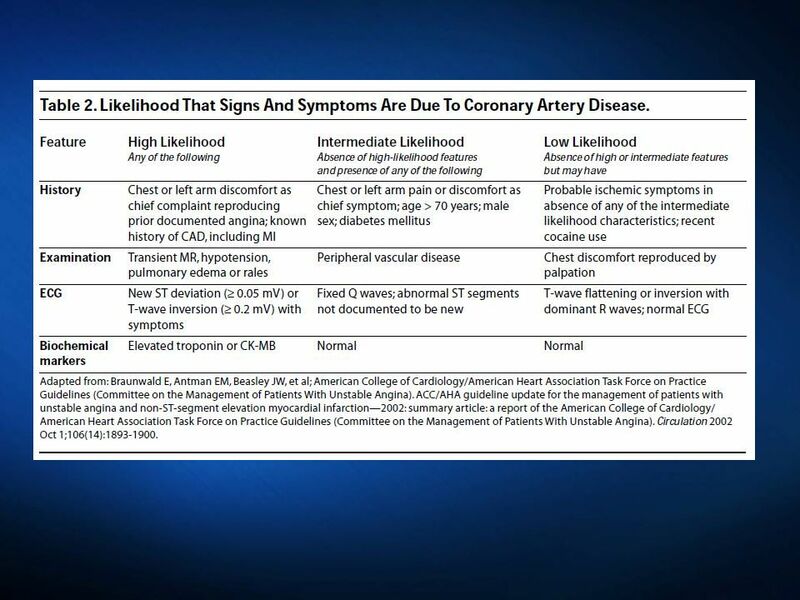 ACC indicates American College of Cardiology; AHA, American Heart Association. 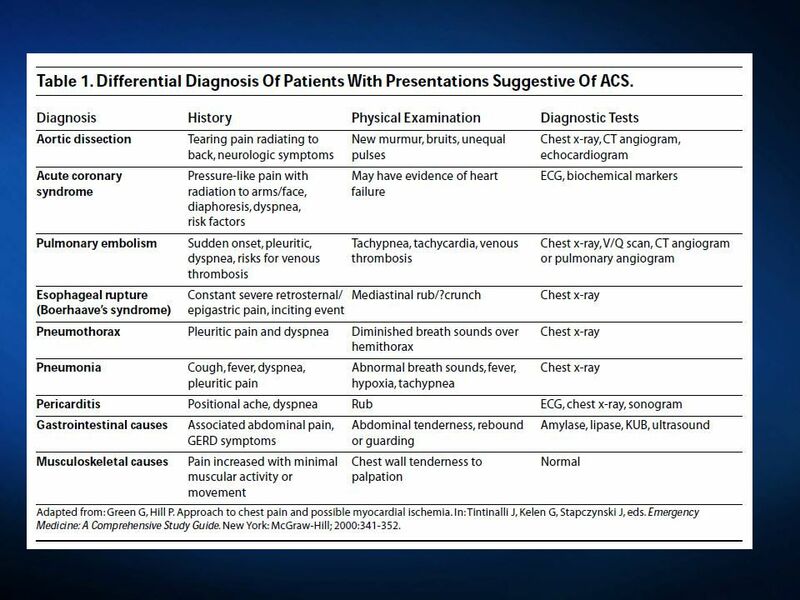 Evaluation of patients presenting with symptoms suggestive of ACS. 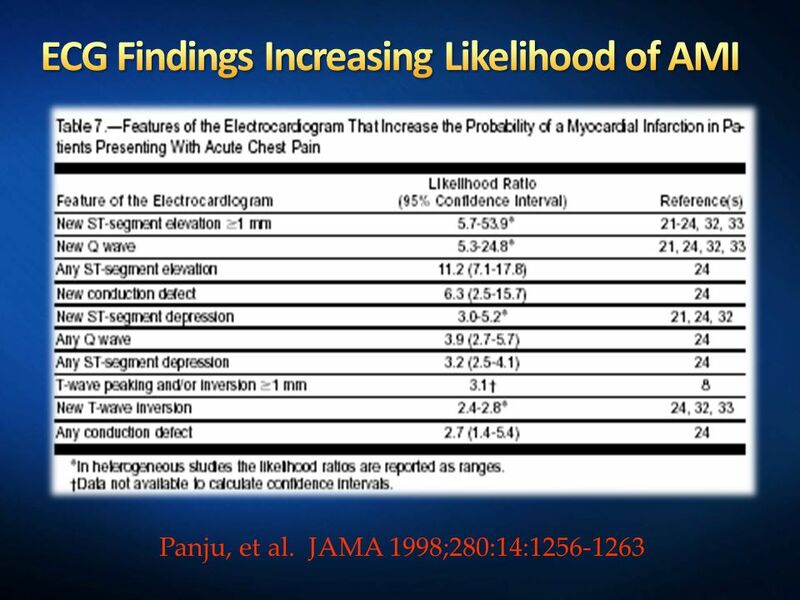 ACC indicates American College of Cardiology; AHA, American Heart Association. 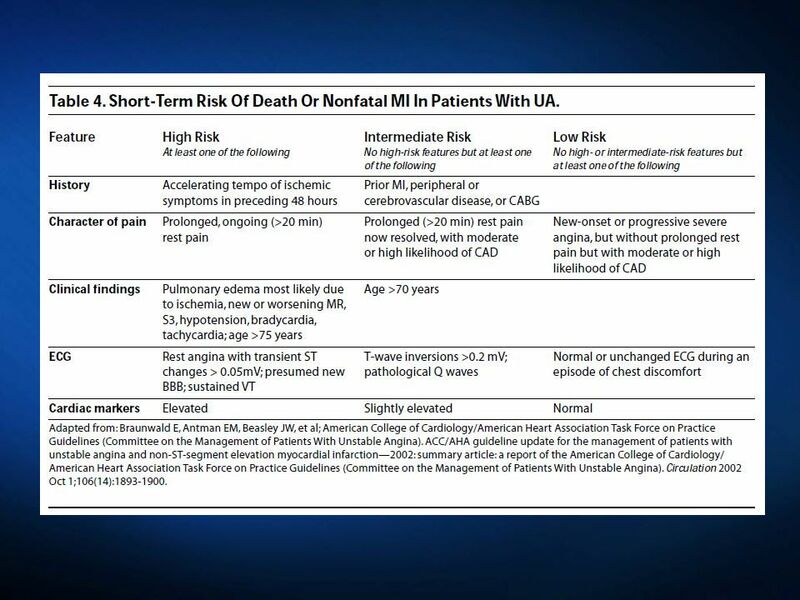 Adapted from Braunwald et al,10 with permission from Lippincott Williams & Wilkins. 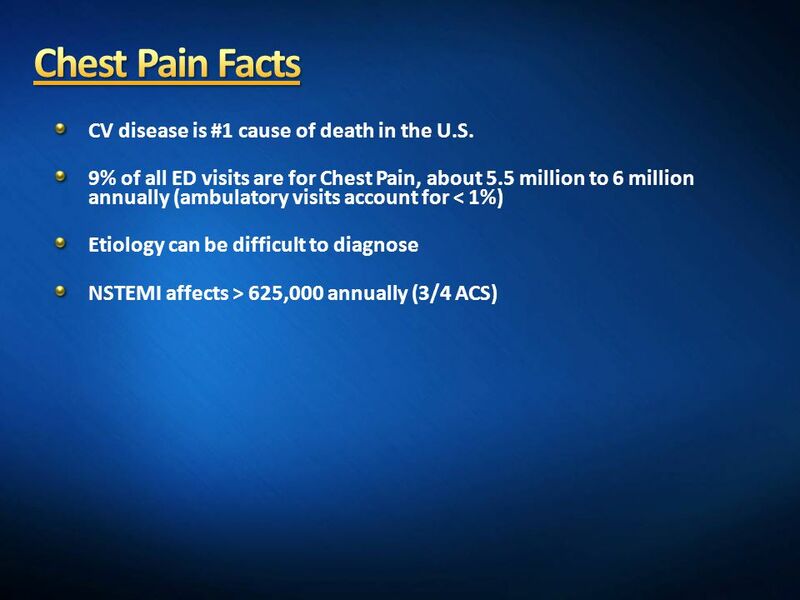 Copyright 2000, American Heart Association. 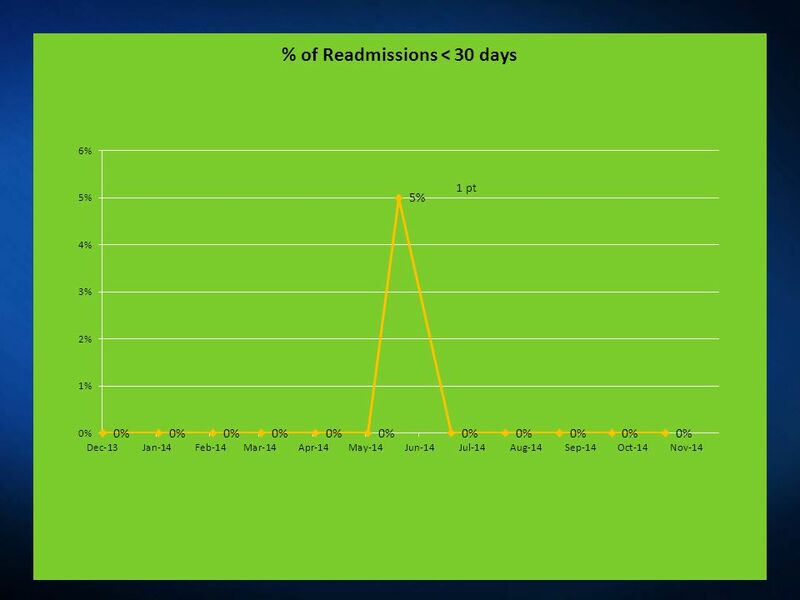 Amsterdam E A et al. 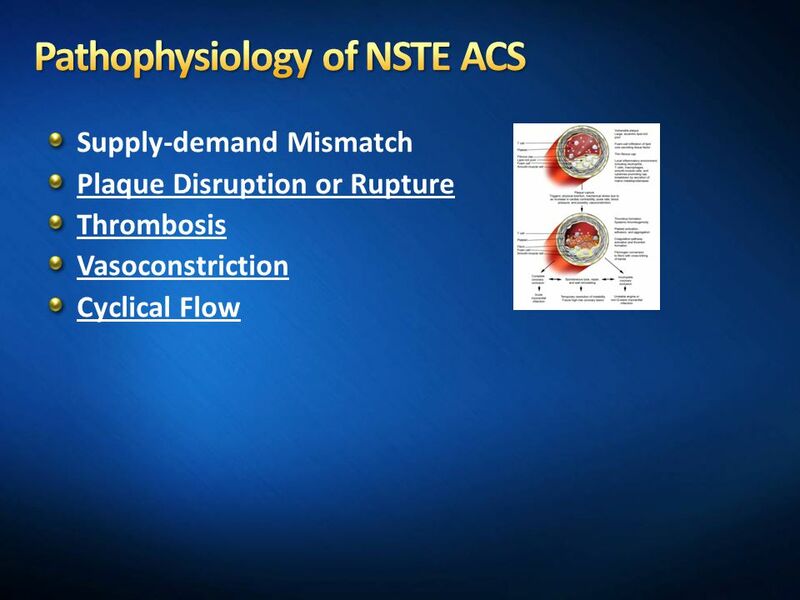 Circulation. 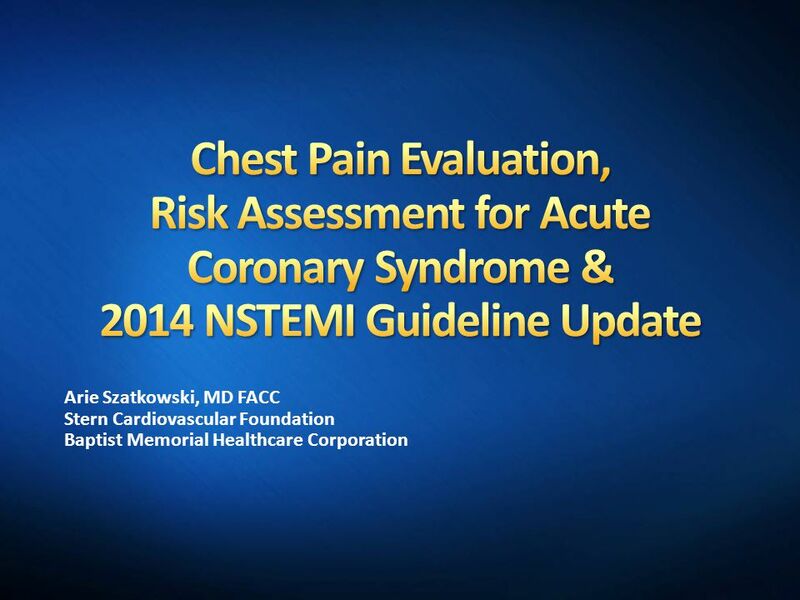 2010;122: Copyright © American Heart Association, Inc. All rights reserved. 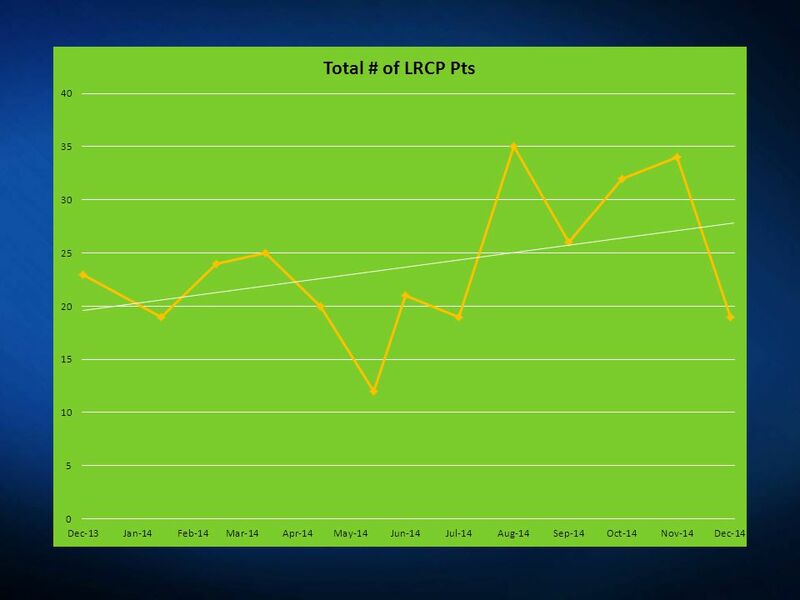 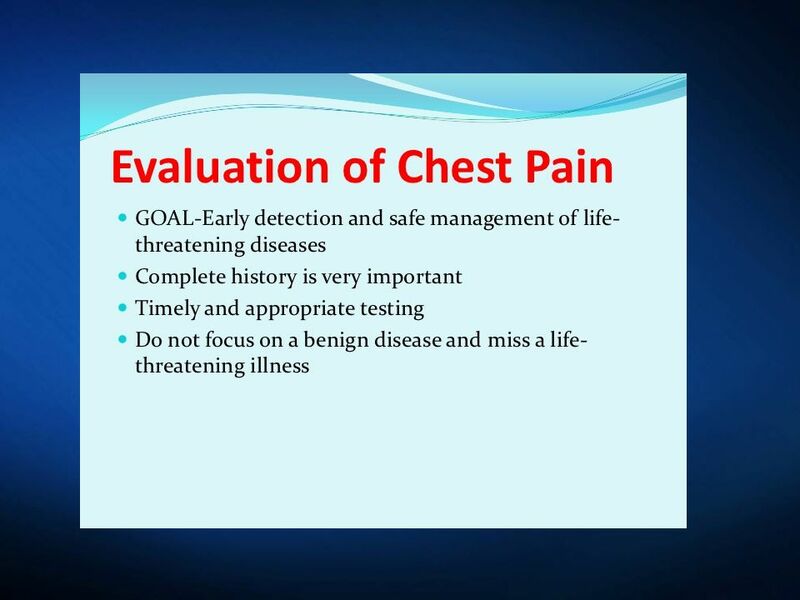 Download ppt "Make copies of Heart Score slide Chest Pain differential"
Approach to The Low Risk Chest Pain Patient John P Erwin, III, MD, FACC, FAHA Associate Professor of Medicine Scott and White Heart and Vascular Institute. 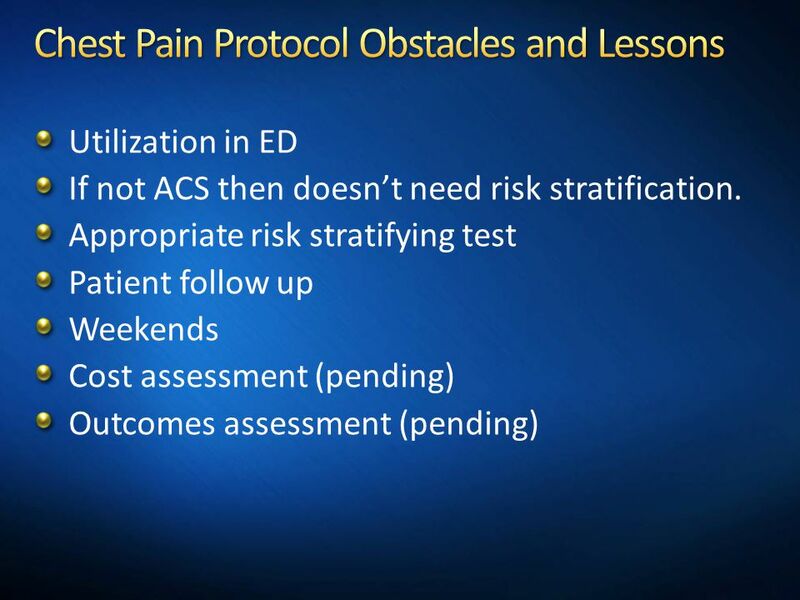 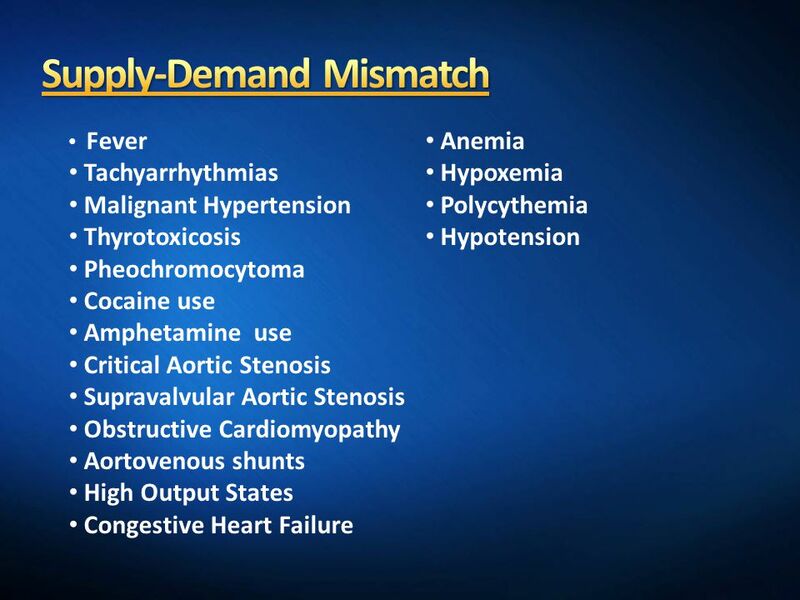 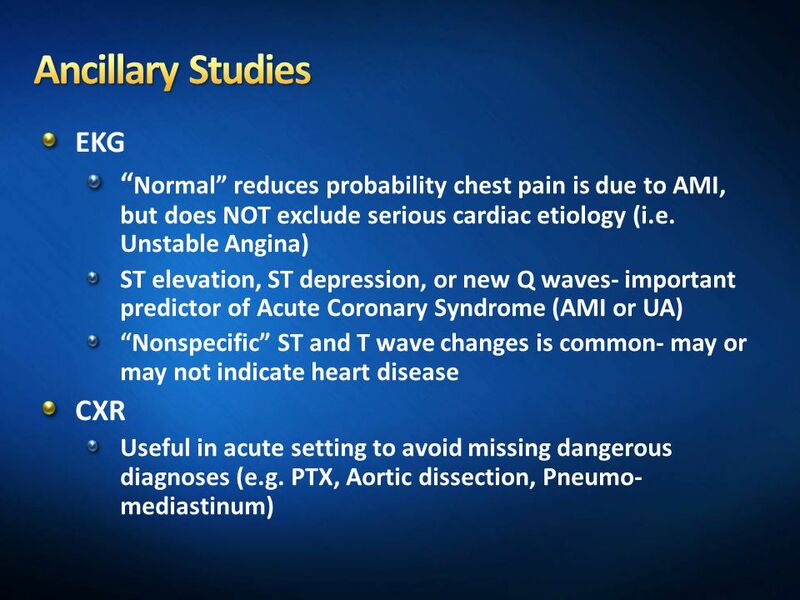 ACUTE CORONARY SYNDROME Jarrod D. Frizzell, MD, MS Fellow, Cardiovascular Medicine July 10, 2014. 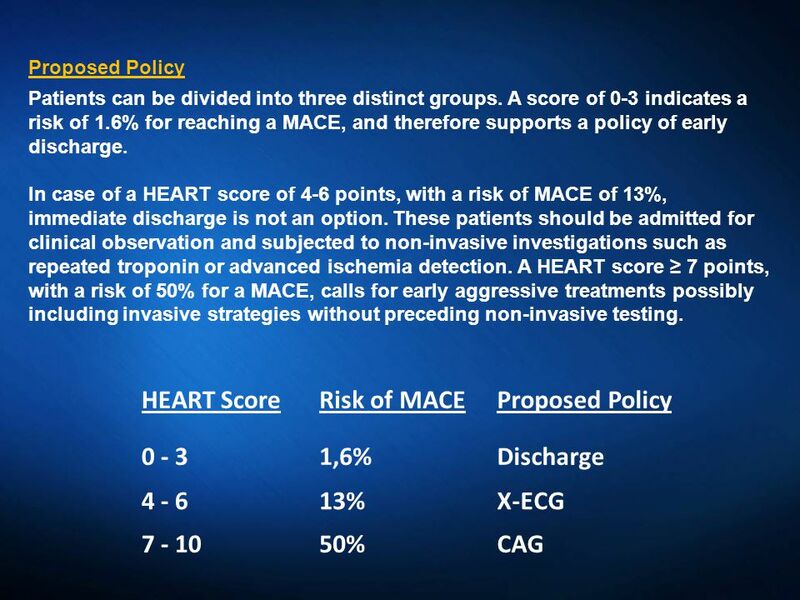 The Macstrak Project CCU Case Studies The following is a series of case studies to review different patient types and how they are captured on the form. 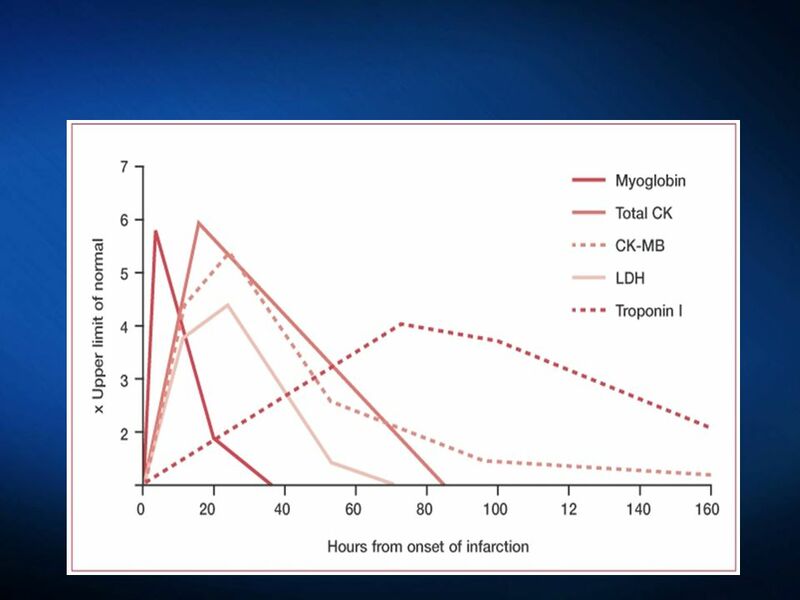 Acute coronary syndrome : Risk stratification – markers of myocardial necrosis Paul Calle Emergency Department Ghent University Hospital Belgium. 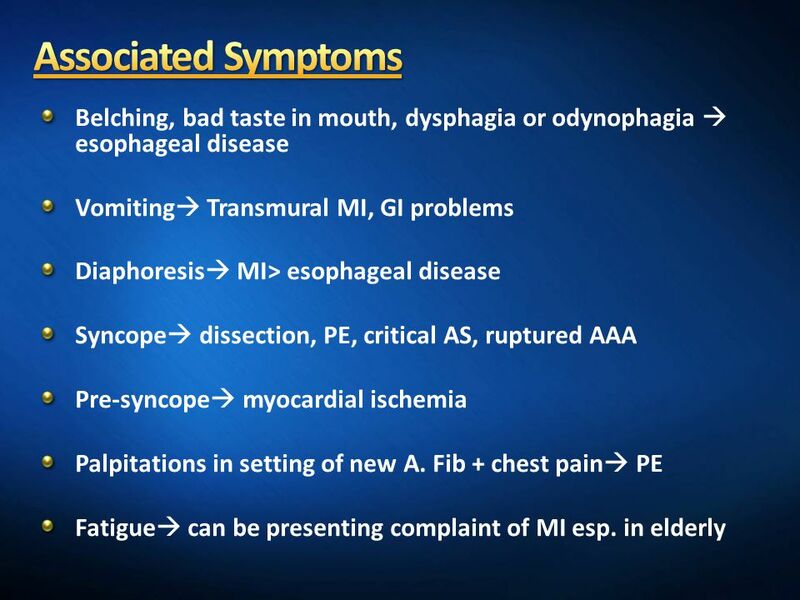 Atypical Presentation of MI Johnna Walker PA-S. 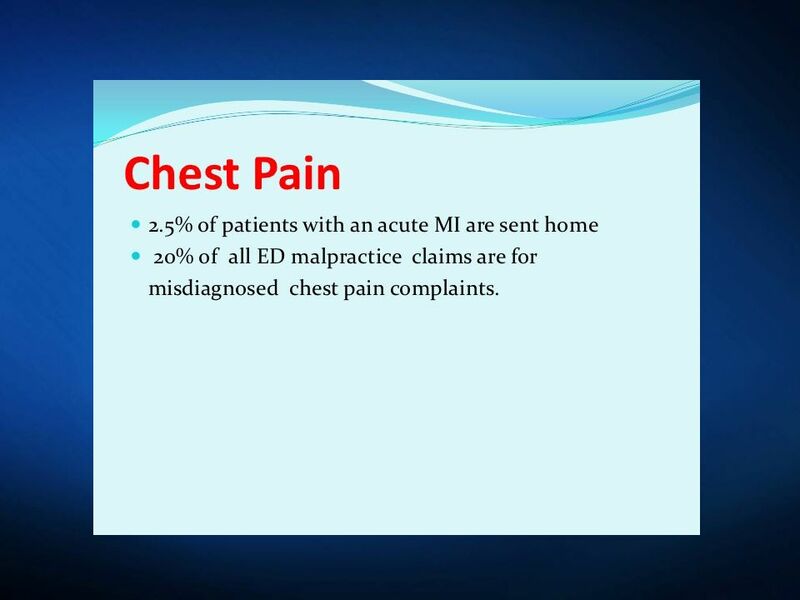 The case… 59 year old woman presents with chief complaint of persistent cough and chest congestion for. 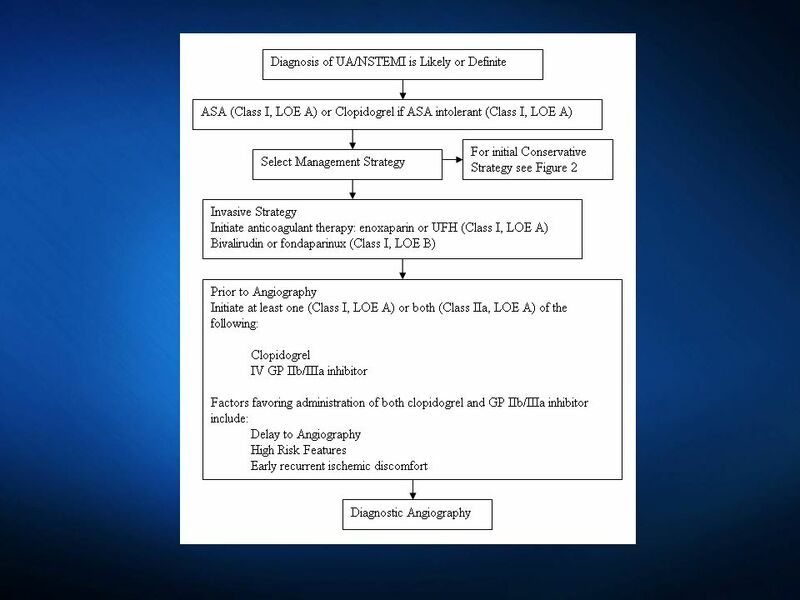 A.Abdi,M.D. 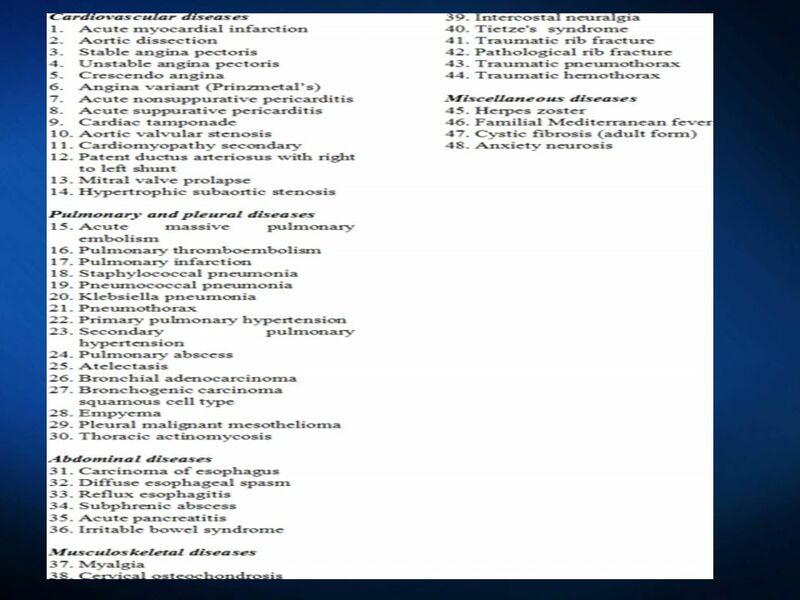 Initial Diagnosis Symptoms ECG Cardiac Biomarkers. 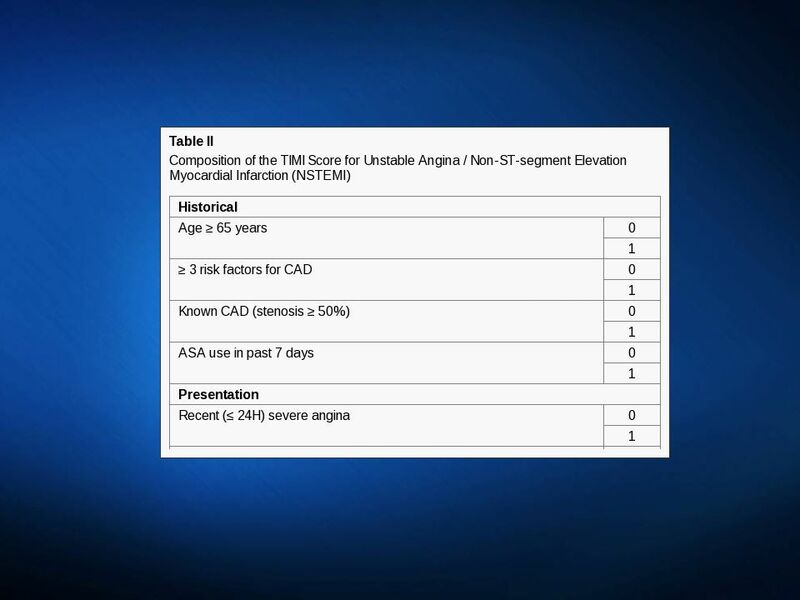 A Risk Score for Predicting Coronary Artery Bypass Surgery in Patients with Non-ST Elevation Acute Coronary Syndromes Sai Sadanandan, MD*; Christopher. 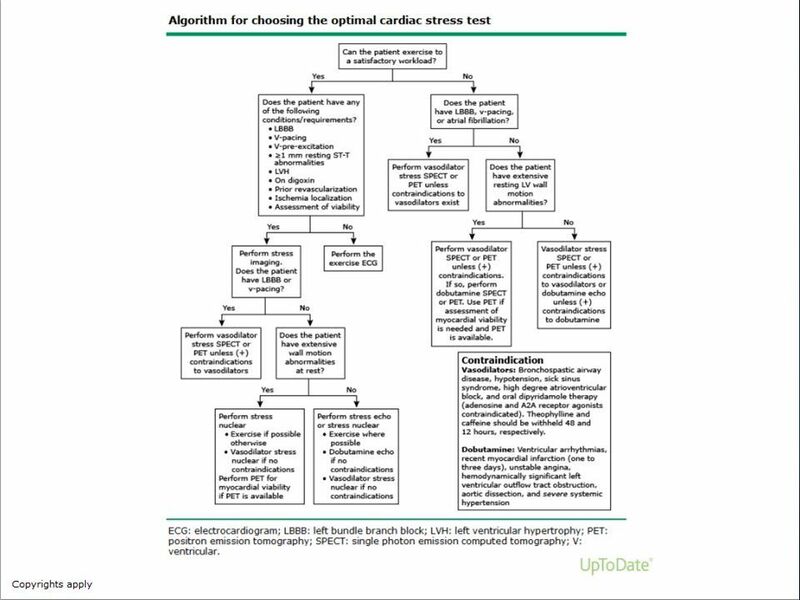 Management of Acute Myocardial Infarction Minimal Acceptable vs Optimal Care Hussien H. Rizk, MD Cairo University. 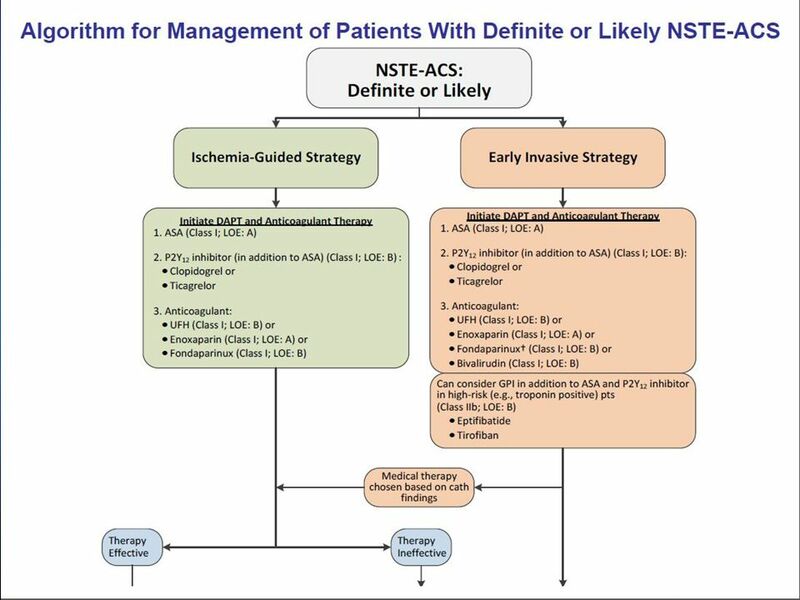 British Cardiac Intervention Society Risk Assessment In Acute Coronary Syndromes Dr David Newby BHF Senior Lecturer in Cardiology Associate Director of. 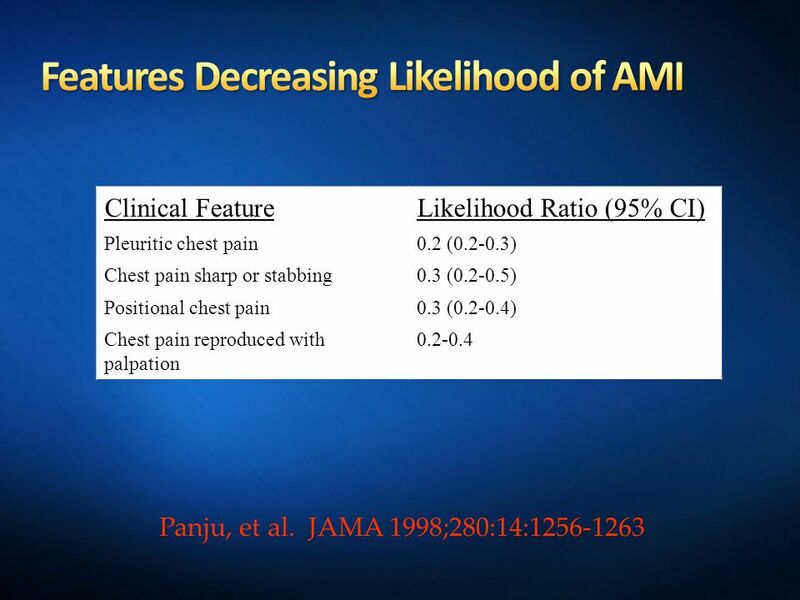 Current and Future Perspectives on Acute Coronary Syndromes Paul W. Armstrong MD AMI Quebec Montreal October 1, 2010. 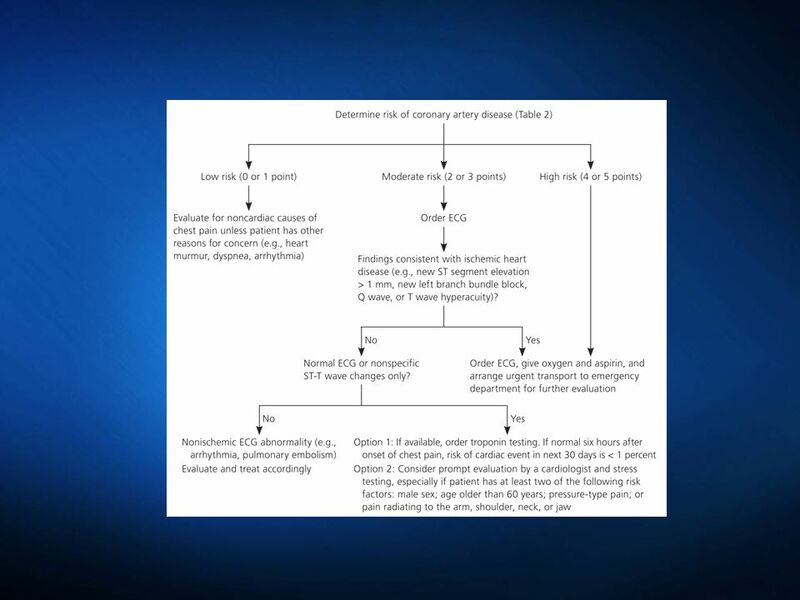 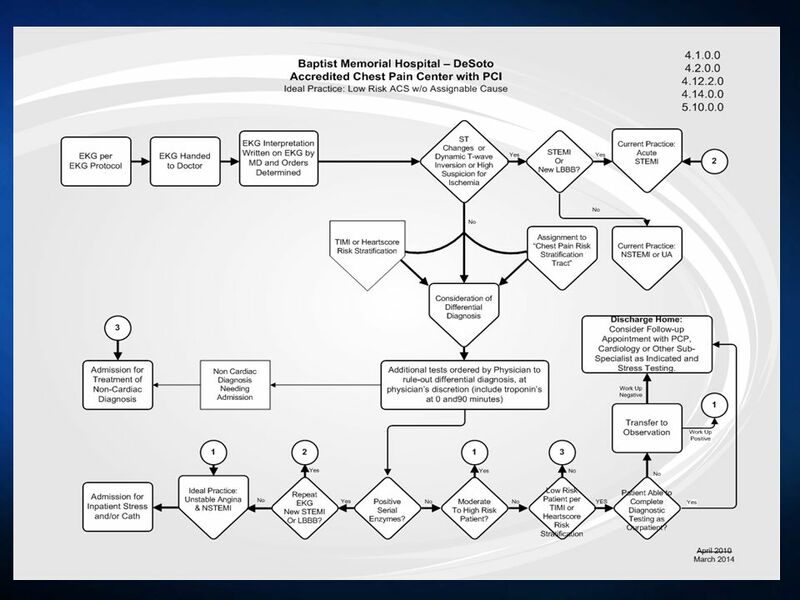 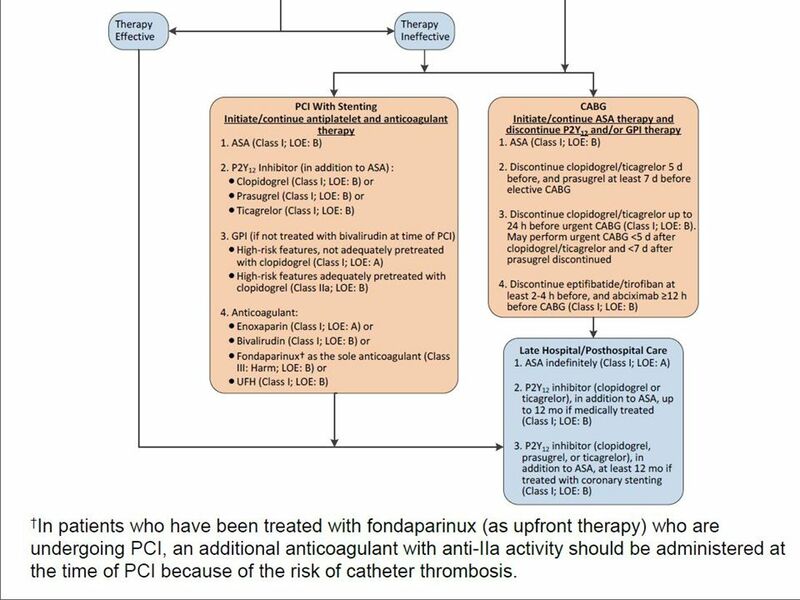 Referring in to the Chest pain pathway: The Primary Assessment Dr Ivan Benett 3/22/2011Dr Ivan Benett GPwSI Cardiology. 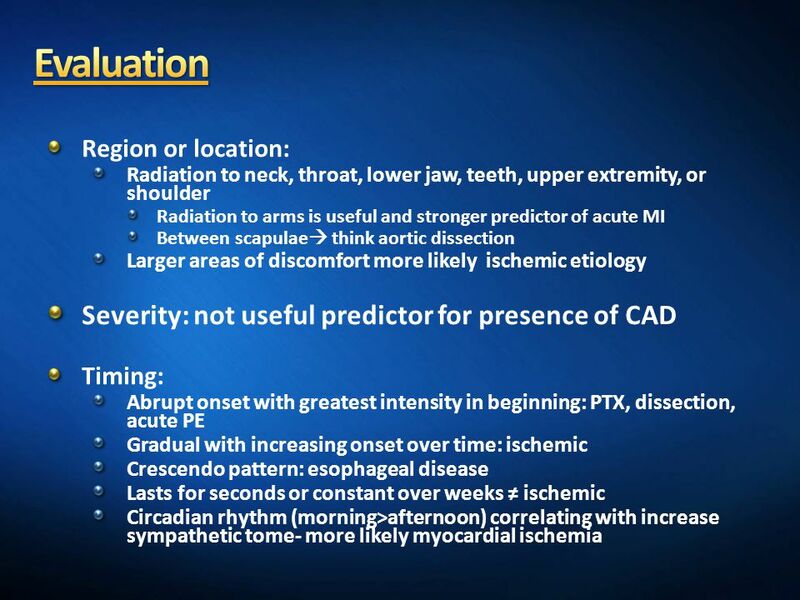 Garik Misenar, MD, FACEP. 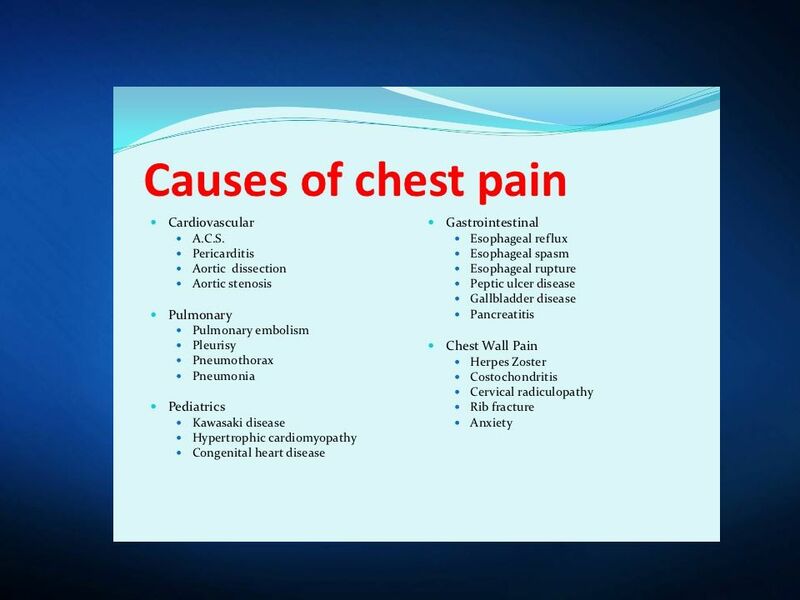  Understand differential diagnosis of chest pain  Learn key points in the evaluation of chest pain  Know the key findings. 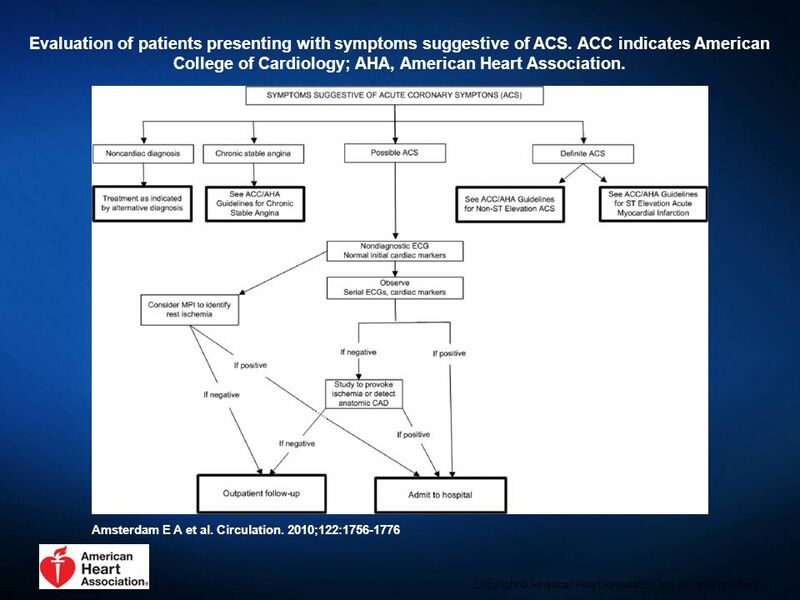 Anterior Depressions Angiographic and Clinical Outcomes Among Patients with Acute Coronary Syndromes Presenting with Anterior ST-Segment Depressions C.
DR. HANA OMER. 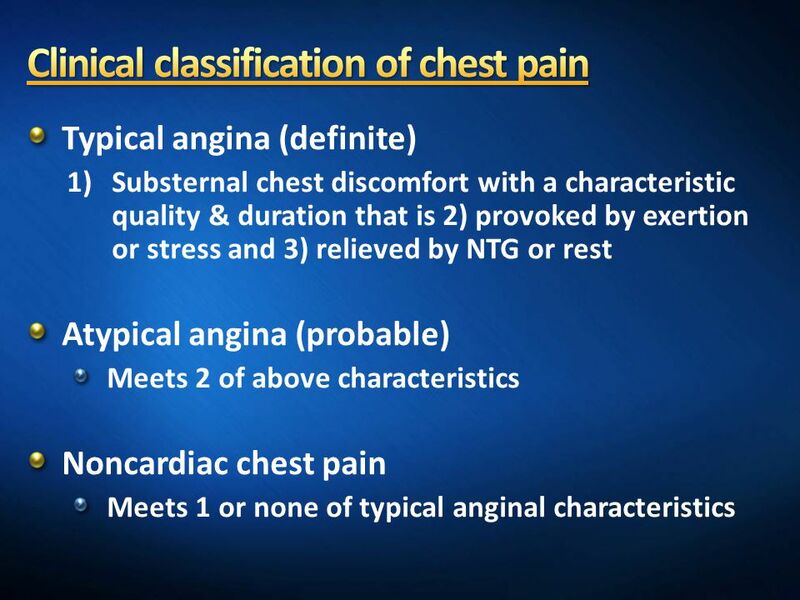  ANGINA PECTORIS :is a clinical syndrome characterized by paroxysmal chest pain due to transient myocardial ischemia. 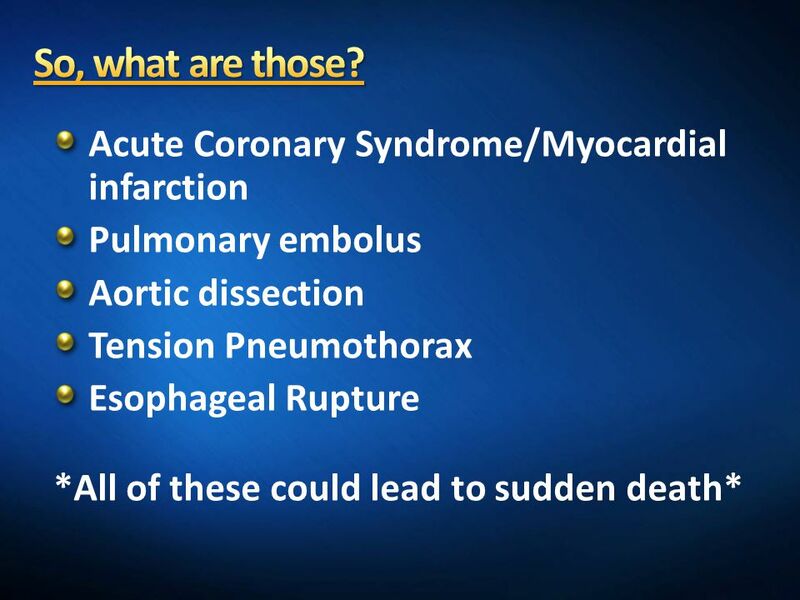  It may be occur. 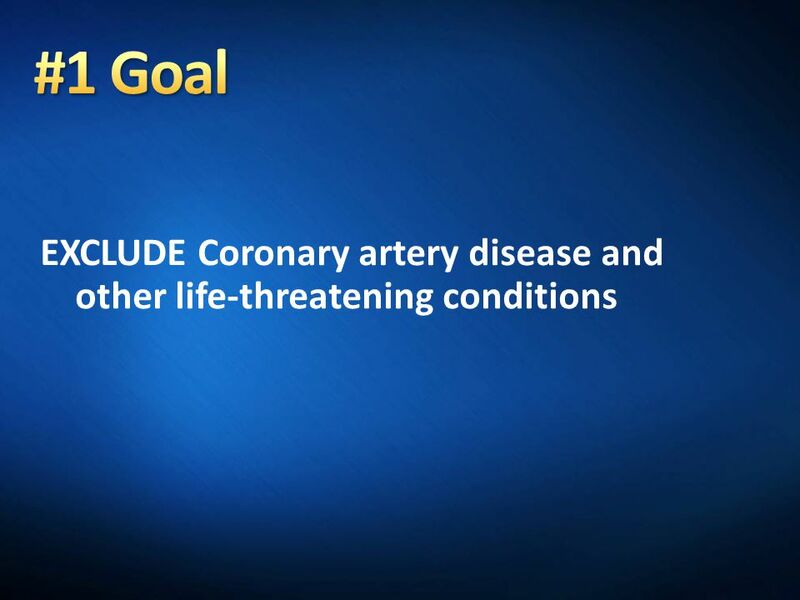 Tareq Yousef Goussous, M.D., FACC Interventional Cardiologist.